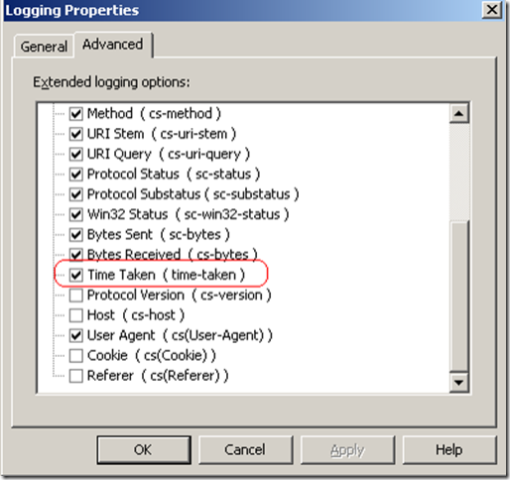 Besides "analog" (www.analog.cx), do you know any good log analysis tool that generates charts and manages this "time-taken" value ? I’d not come across Analog before. Looks interesting! 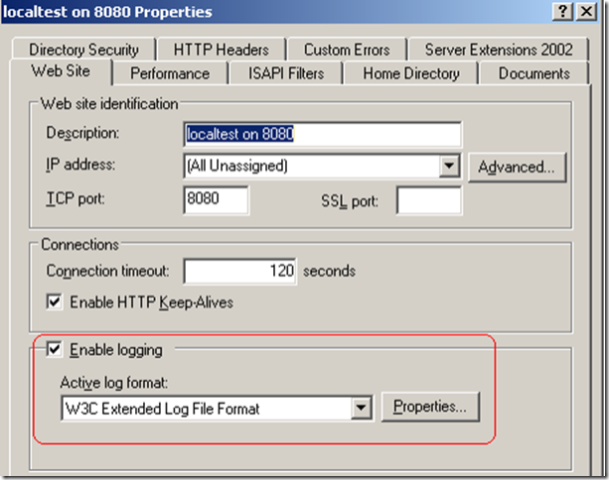 I tend to use LogParser (available for download from the Microsoft download site). LogParser can also produce charts (although the following example does not cover that). 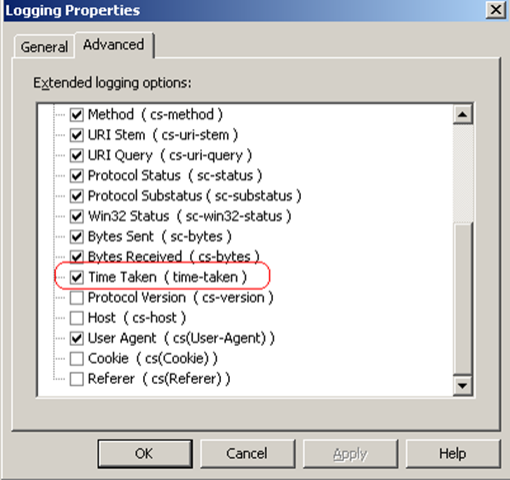 For example, the following LogParser query will do a combined parse of all IIS log files (ex*.log) in the current directory quantize the time-taken field to the next nearest whole second and then group by status code, URI and second. The output also includes the number of hits in each grouped category both as a number and a percentage.